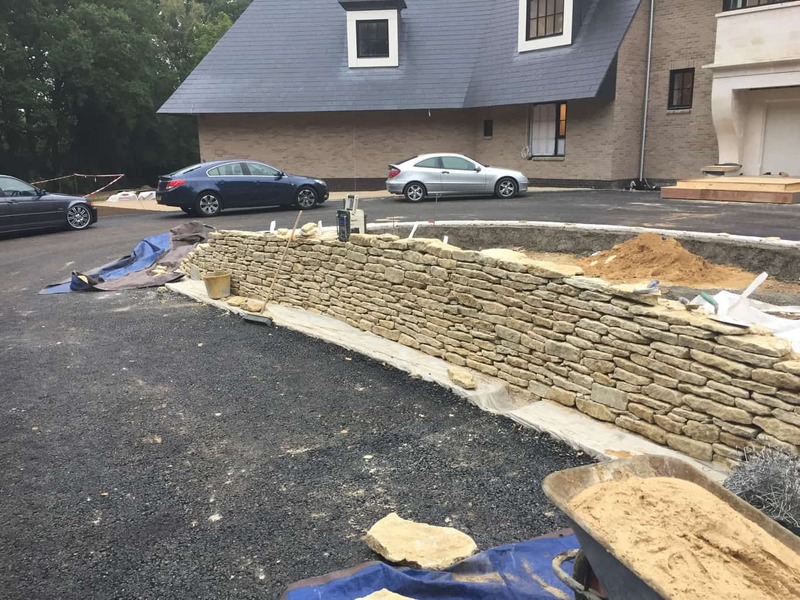 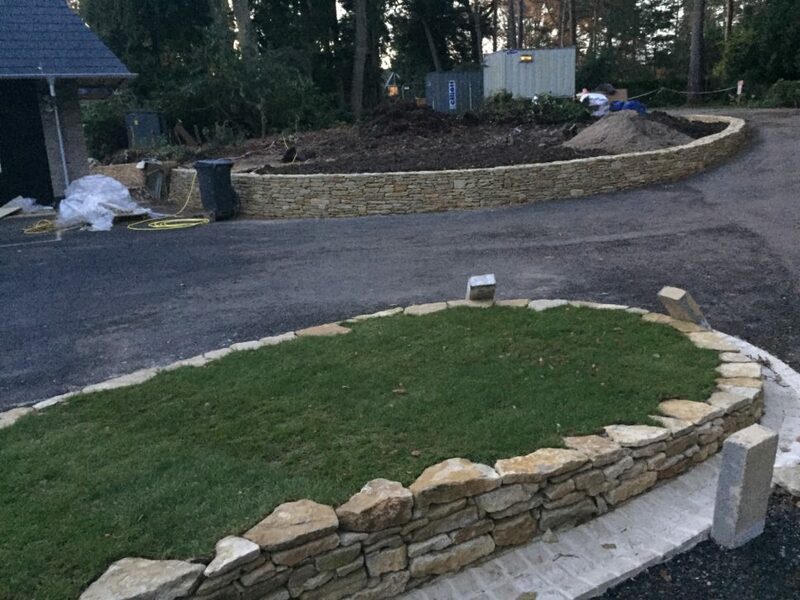 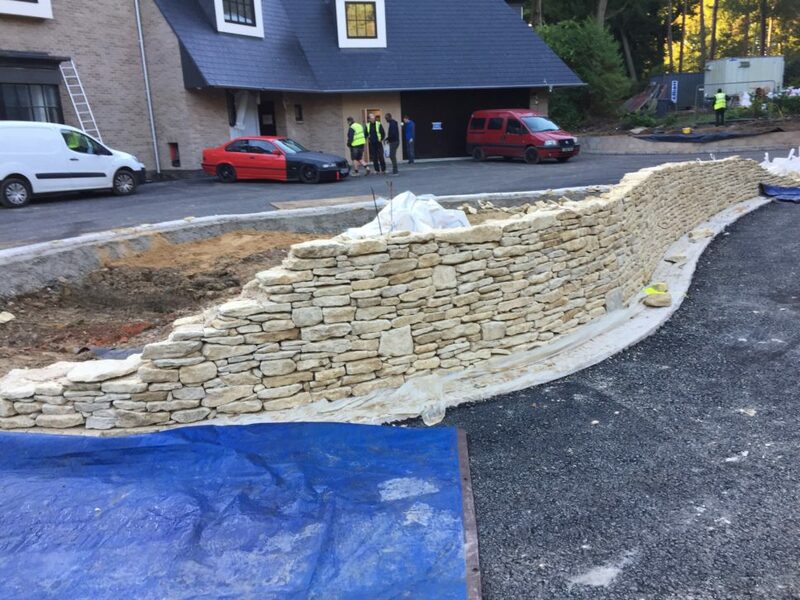 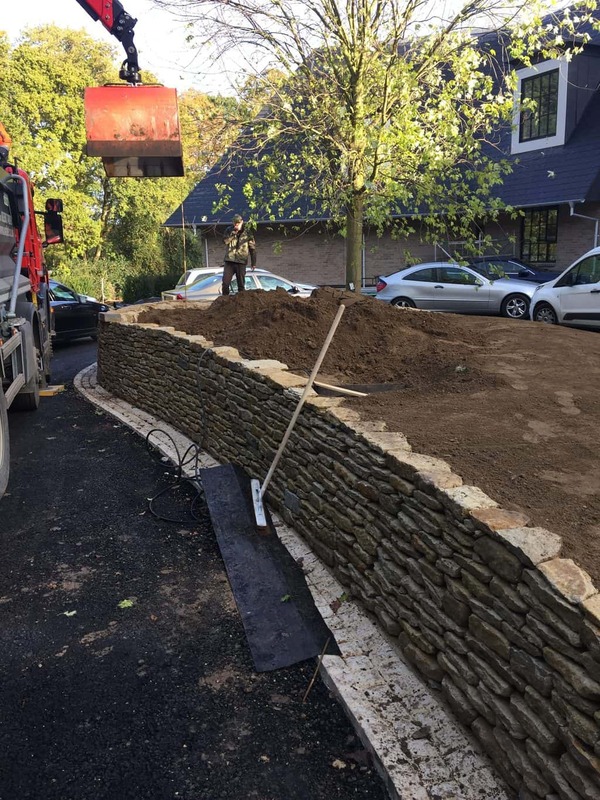 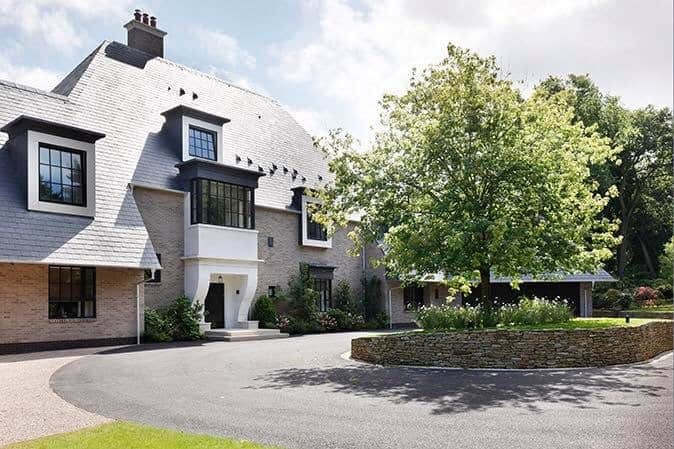 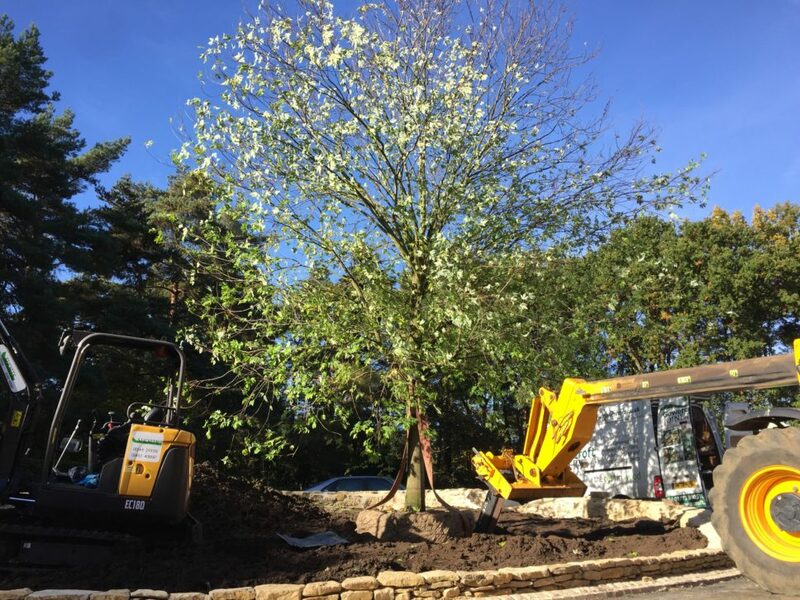 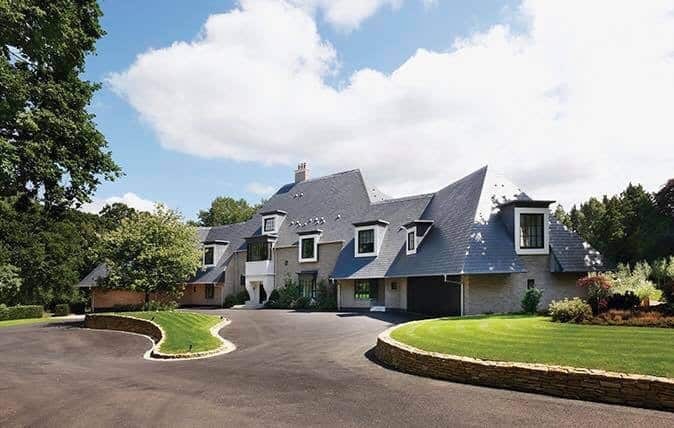 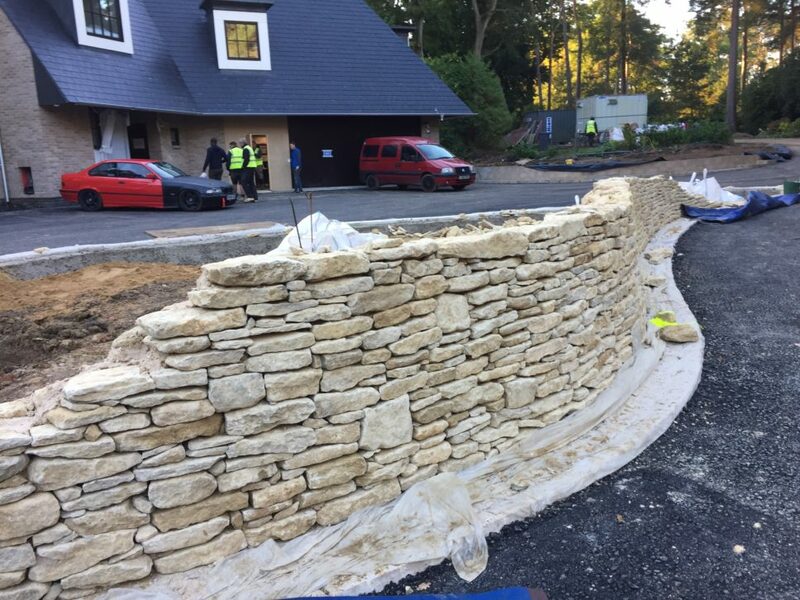 Cotswold limestone walling was used to create a teardrop shaped turning circle at the front of the clients property. 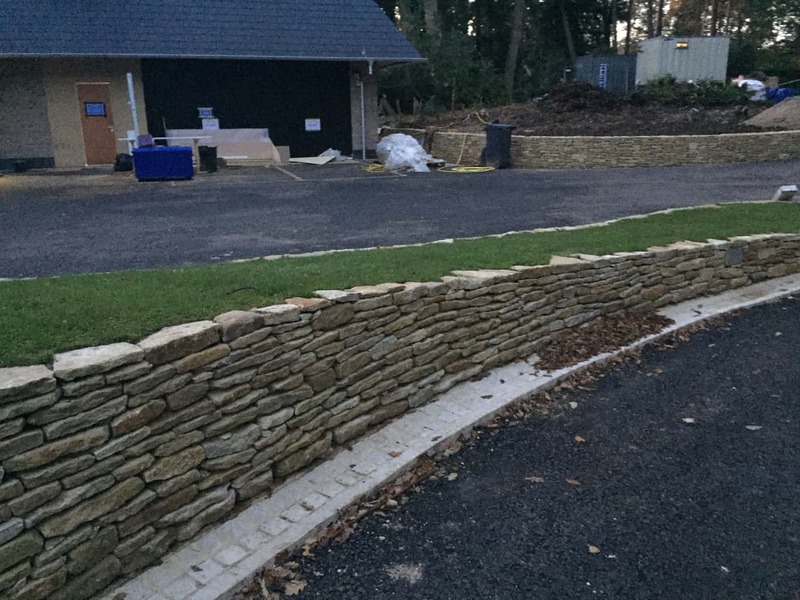 And retaining walls adjacent to the driveway itself. 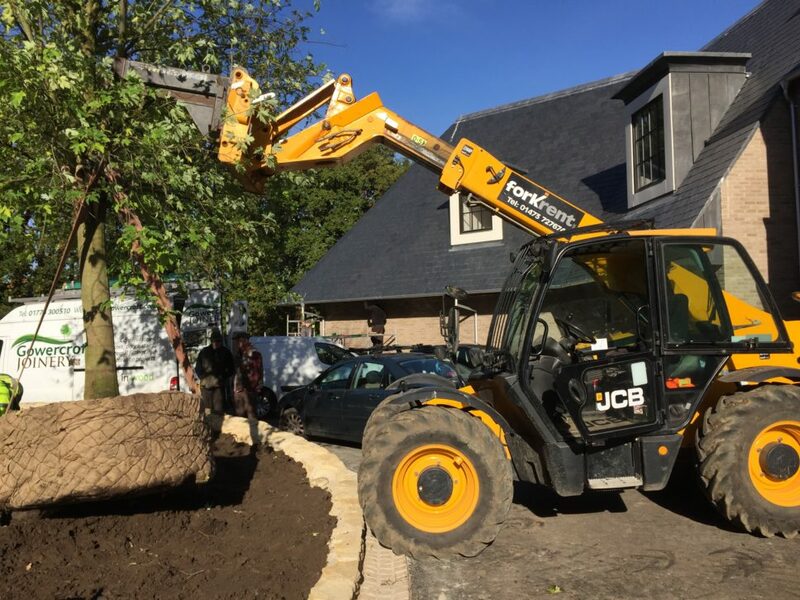 it was then filled with different grades of soil and a specimen tree planted at the turning circles largest end. 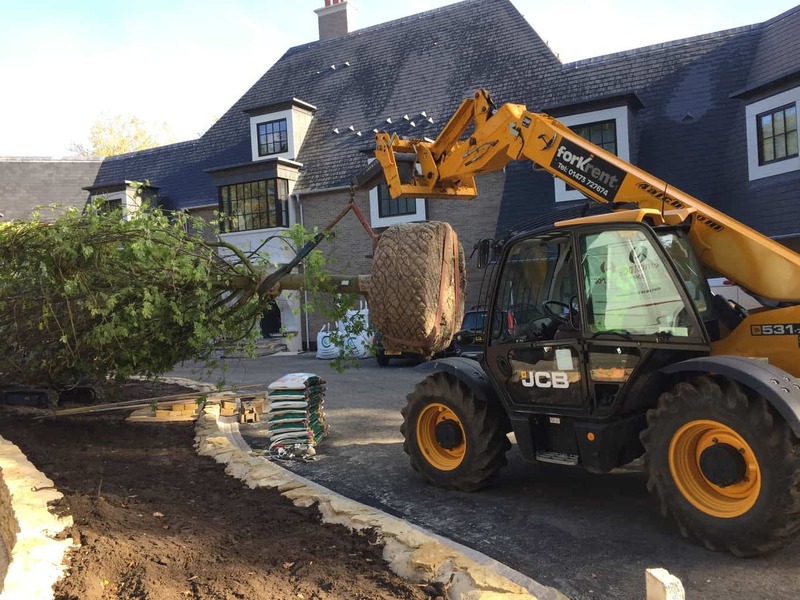 The turning circle was then turfed leaving a circular bed under the tree allowing for some under story planting.